Acting Chief Education Officer, Marcel Hutson speaking Thursday at the launch of Education Month 2016. Assistant Chief Education Officer (Primary), Marcel Raymond Hutson, is tipped to become Guyana’s new Chief Education Officer, in the wake of concerns about the performance of Olato Sam whose contract has not been renewed. Minister of Education. Dr. Rupert Roopnaraine was quoted by the Government Information Agency (GINA) as saying that the decision to replace Sam was one aimed at ensuring the proper execution of the Ministry’s policies. “It’s not a shift in policy; it’s a reinforcement of policy …. It’s just that we want to ensure that the CEO is in fact carrying out policy directions of the ministry. There were some areas where we had complaints from teachers and that kind of thing… they were credible enough for one to question whether or not this is the right person for the job,” Roopnaraine said. Further, the minister said the continued presence of the former CEO, at the Ministry of Education, despite previous announcements of his departure, is to allow him the full benefits of leave which would have accumulated over the years. When contacted by Sam, he refused to discuss his status at the ministry and referred all inquiries to the Minister of Education. In January 2011, Sam was appointed the CEO following the retirement of Mrs. Genevieve White-Nedd who acted for more than five years without confirmation. Roopnaraine said Assistant Chief Education Officer (Primary), Marcel Raymond Hutson is most likely to become the new Chief Education Officer (CEO) following the decision to not renew the contract of former CEO, Olato Sam. “It’s not unlikely we have to make a determination of what needs to be done and whether Mr. Hutson himself feels that he is up to executing these tasks,” the Minister told the Government Information Agency (GINA). Hutson on Thursday participated in the launch of Education Month, under the theme “Each Child Matters: Stakeholders Unite for the Enhancement of Education”, as acting Chief Education Officer. Hutson pointed out that education systems that are effective place great emphasis on the connectivity of its officials, the home, the school and the wider community working together. “The change we are advocating and seeking must embrace this belief…showing children that education is important, building their confidence and connecting with their school to help to shape children’s learning and well-being. ” he said. 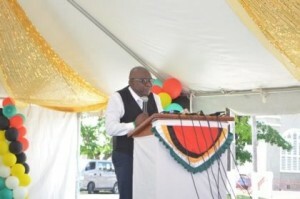 The Acting Chief Education Officer also believes that community spirit is vital to the effectiveness of education delivery and it is against this background, business organizations, managers, other government agencies and the like are encouraged to contribute their resources, be it financial, human or physical in our fight to create the new Guyana child. Hutson has a Trained Class 1 Grade 1 Teacher’s Certificate, Bachelor of Social Science Degree in Sociology, Bachelor of Arts Degree in Theology, Post Graduate Diploma in Education Administration and Master’s in Education Management Planning and Supervision. 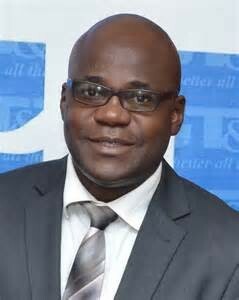 Additionally, he holds a certificate in the Management and Delivery of Education in Guyana via the Ministry of Education’s first Teacher Cadet Scheme, a Certificate in Reforming School Supervision for Quality Improvement (IIEP) through UNESCO and a Certificate of Training in Project Management through the Government of Guyana and Caribbean Development Bank (CDB).